MeMoi is all about giving women ultramodern shapewear they'll fall in love with over and over again, providing dramatic results at friendly prices. This design philosophy has truly put them a step ahead. 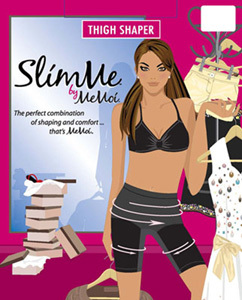 Rediscover, appreciate and love your body more than ever with SlimMe. Tagless and seamless designs to emphasize the body naturally.